We are working for you for more than 10 years! (Русский) - БЕСПЛАТНО. Оформление зависимого кандидата на иммиграцию (супруг/супруга). (Русский) - БЕСПЛАТНО. Оформление детей главного заявителя. (Русский) - БЕСПЛАТНО. Пакет нотариально заверенных переводов документов канадским нотариусом. (Русский) - БЕСПЛАТНО. Подбор ВУЗа в Канаде при оформлении визы на обучение. (Русский) - БЕСПЛАТНО. Помощь в регистрации в ВУЗ при оформлении визы на обучение. 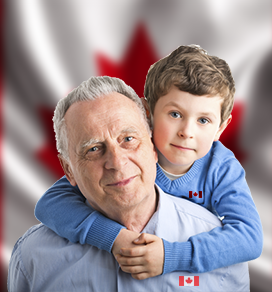 Since 2014, when the Program for Family Sponsorship has been reopened to accept 5000 applications, the Government of Canada makes continuous efforts to help reunite even more parents and grandparents with their families in Canada. The chart below demonstrates the gradual increase in number of applications accepted. Within the framework of the Action Plan for Faster Family Reunification, in 2014 and 2015, the quota was set at 5000 applications per year, but in 2016 – 2017 the number of accepted applications increased to 10 000 per year. August 2018 was a breakthrough when the cap had been raised to 17,000. The admission level is expected to be up to 21000, in 2020. Similar to the application procedure for 2017-2018, applications for parent sponsorship are to be submitted online only. 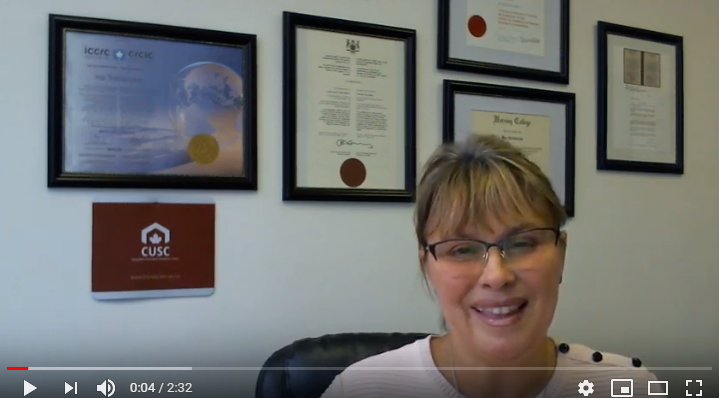 However, as of January 2019, the first submission of an online Interest to Sponsor form will be processed based on the order in which it is received by IRCC, that is “first come-first served”. The Immigration, Refugee, and Citizenship eliminated the derogatory random selection of the sponsors to apply. During the second step, applicants will receive a relevant online notification and will have 60 days to submit the complete application package for further detailed consideration by immigration authorities. The intake process will continue until the 2019 cap of 20000 complete applications is reached. Considering the substantial improvements to the parents and grandparents sponsorship process, the option to request permanent residence for the named family class has been mostly taken away from the Humanitarian and Compassionate Program (HCP). As an alternative, in case of family reunification, Canada offers to apply for a Super Visa. 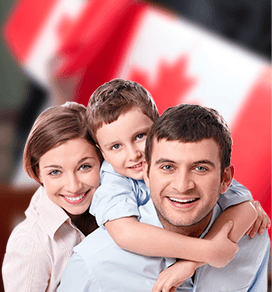 This is a multiple entry visa for parents and/or grandparents valid for up to 10 years allowing them to stay in Canada for up to 2 years at a time, with a possibility to partially extend their stay while remaining in Canada. Each of the two aforementioned options for reuniting with parents and grandparents living in other countries have specific application criteria and requirements. Both options impose serious financial obligations on the sponsor in Canada regarding the sponsored family members, and these requirements are increasing yearly. Although other criteria are no less significant, the financial support is the main requirement in this immigration category. *Note: The province of Quebec has its own list of requirements, which is not considered on this page. 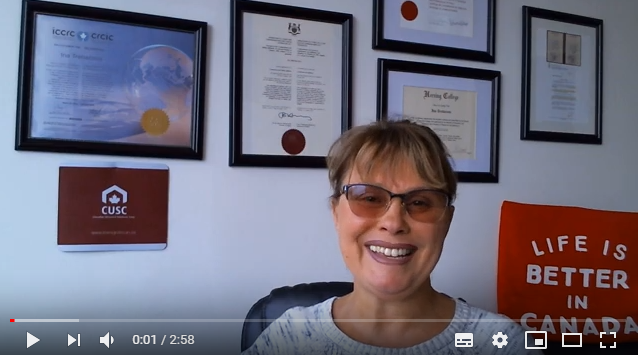 If applying for parent and grandparent sponsorship in 2019, the sponsor in Canada must provide proof of income for 2015, 2016 and 2017. 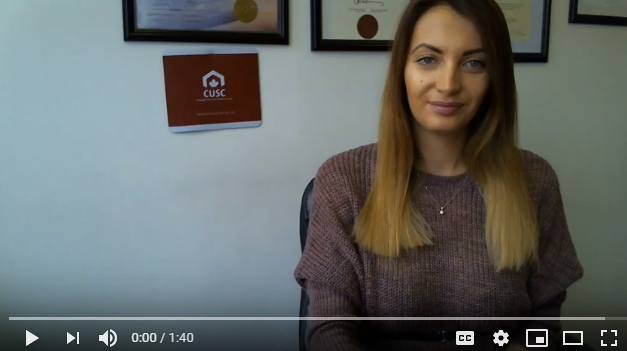 Super Visa applicants are required to provide a proof of income for a shorter period. Individuals with the Temporary Residence status, namely : foreign workers, workers with temporarily contract and foreign students who have graduated from any educational institution in Canada are eligible to apply for Permanent Residence in Canada. In order to apply you must meet English or French language proficiency requirements, know the customs of Canada, and prove that you can contribute to the development of Canada’s economy. This type of immigration in Canada is called the Canadian Experience Class. submit a diploma issued by a higher education institution or a college in Canada and at least 1 year continuous professional experience in Canada. Canadian Experience Class program does not apply to individuals wishing to settle in the Province of Quebec. In order to apply for the Canadian Experience Class program individuals need to submit their documents either while working under contract in Canada or within 1 year from the date of dismissal. 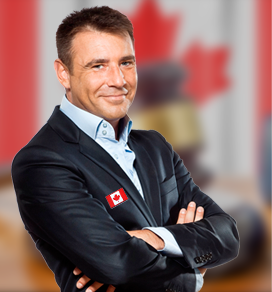 If a candidate for the Canadian Experience Class immigration program is married or live with a common-law partner in Canada, the partner may also apply for Permanent Residence in Canada. 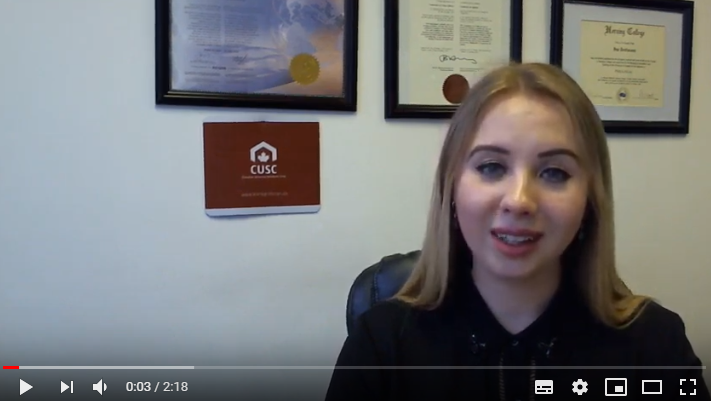 If you keep asking yourself about the quick way to settle down in Canada with permanent residency and get a job with good prospects, it is time to receive answers! 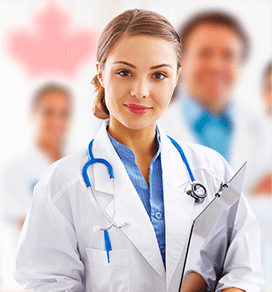 Scientists willing to work and study in Canada on permanent basis have all the chances. Teachers are in the immigration list of Canada federal program. This is a highly paid profession, which is in demand in Canada. For a successful immigration to Canada, university admission and employment individuals must pass one of the English tests. Tens of thousands of visitors arrive in Canada daily. In order to make the Canada Border Service Agency’s (CBSA) work more effective, since March 2016, Citizenship and Immigration Canada has introduced a new system of prior entry authorization, known as eTA (Electronic Travel Authorization) for individuals wishing to visit or transit Canada by air. Ιn general, the requirement of prior electronic registration applies to citizens of visa-exempt countries. The only exceptions are the U.S. citizens with valid passports. 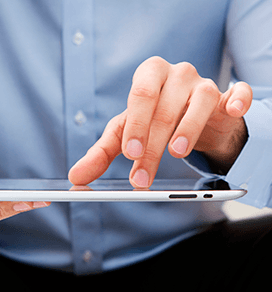 It is the applicant’s responsibility to provide evidence of the aforesaid. In case of insufficient proves the visa application may be denied. In order to minimize the probability of failure and make the fullest possible application set, you can always appeal to our experts. In the framework of the International Experience Canada (IEC), young individuals aged 18 – 35 may choose from up to three categories, that will allow them to travel and work in Canada during 1 year. The three categories are Working Holiday, Young Professionals, and International Co-op. The requirements for each category differ by age, work term, and possibility of extension. Basically, this program is available only to citizens of countries that signed a bilateral agreement with Canada on youth mobility, namely Germany, Estonia, Latvia, Lithuania, Netherlands, Norway, Poland, Slovakia, Slovenia, Czech Republic, Spain, Ukraine. 32 countries overall. Citizens of other countries, such as Israel, Moldova, Russia, may participate to the program through seven recognized organizations, that usually offer paid trainings not only in Canada but also in the United States. The application for IEC is reviews by civil services of Canada in two stages. Firstly, by the Ministry of Foreign Affairs, based on its requirements, then by the Citizenship and Immigration Canada according to its requirements. 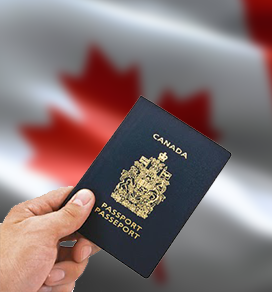 IEC is a reasonable way to further permanent residence application. 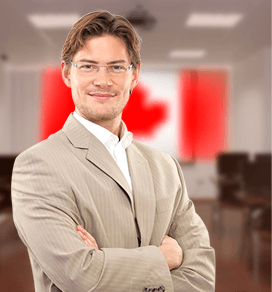 In most cases, work permit under the IEC categories is issued for 12 months, that makes possible to gain necessary experience to apply for permanent residence permit under Canadian Experience Class. If a work permit is issued for less than 12 months, the time spent in Canada may be used to search for a potential employer who will be interested in offering you a long-term contract of employment and supporting your application for permanent residence in future through the Express Entry system. 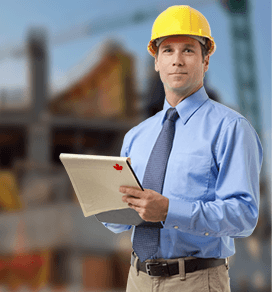 We remind you that according to Canadian Experience Class category, you must prove 1 year of continuous full-time skilled work experience in a Canadian company. Canadian Experience Class is not considering individuals with low-skilled occupations experience such as operational staff, drivers, equipment operators, and so on. Canadian companies are enthusiastically considering employing young experts under IEC program. Because in case of mutual interest, the candidates who have already gained experience can stay in the company, taking advantage of other immigration programs, both provincial and federal. 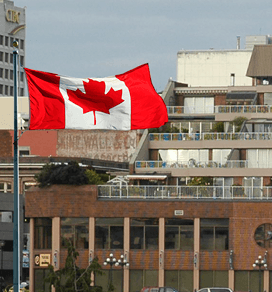 Due to differences in immigration legislation between Canada and the United States, it is sometimes easier to obtain a visa to enter the US, especially visa of type J1, which is issued for students and young professionals training programs. During work, the participants receive a $ 1,000 USD scholarship, as well as free accommodation / meals. All other expenses are covered by the participants. Individuals wishing to obtain a US visa for a training in one of the mentioned areas must match specific requirements. The main requirements are: age between 18 and 35, status of a student in the country of residence or proof of young specialist professional experience, the average level of language proficiency, which is determined during an interview on Skype with the interested party. (Русский) Семейное спонсорство родителей в 2019г.